Background: Given a denied or resource-limited area of operations, when air medical evacuation would require extended delay, should dismounted movement through difficult terrain dissuade an attempt of immediate ground evacuation? Understanding the magnitude of external forces during dismounted movement would inform planning in such circumstances. Objectives: We assessed the mechanical impact experienced during dismounted evacuation from mountainous terrain. We also describe a protocol using a portable accelerometer to evaluate evacuation. Materials and Methods: A triaxial accelerometer and a semiflexible litter were used to collect data during the Army Mountain Warfare School Rough Terrain Evacuation Course. We used the generalized extreme value (GEV) distribution, using maximum likelihood estimation, to model maximum acceleration values. Results: It was determined that the accelerometer should be mounted directly onto a mannequin when using semiflexible litters. GEV analysis from a mannequin-mounted trial revealed that for 1-minute evacuation intervals, 10% would have a maximum acceleration over a value between 2.4g and 3.7g. This interval encompasses the maximum acceleration from evacuation using a Mine-Resistant Ambush Protected (MRAP) vehicle, measured by the US Army Aeromedical Research Laboratory. The peak acceleration from a 75-minute, mannequin-mounted trial was 5.5g, approximately twice as large as the MRAP maximum. 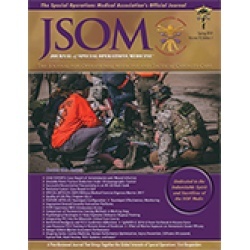 Conclusion: For the evacuee, the acceleration experienced during dismounted evacuation in mountainous terrain can be comparable to MRAP evacuation, especially with sufficient planning that avoids points of maximum impact. Leaders can consider this comparison during planning.